Well here we go from outcast to outcast as we delve back into Zeta Gundam’s characters. Again, as with Char, I will state that I’ll likely do a full review of the Zeta Gundam anime before the first of April. The reason for that is because in addition to around that time marking my full third year on this site, it marks the 40th anniversary of the Gundam metaseries franchise. Sure, I could do a review of the original series, but there is not much that I didn’t already cover with Char and Amuro’s rivalry in a previous article, and I may touch upon some of the key points and in-betweens before then to bring everyone up to speed. For, now I want to put forth a hypothetical question through this character. Whats in a name? What makes a name masculine or feminine? Does a person’s name affect their expression of who they are at their core? Or perhaps a person makes do with what they’ve been given? 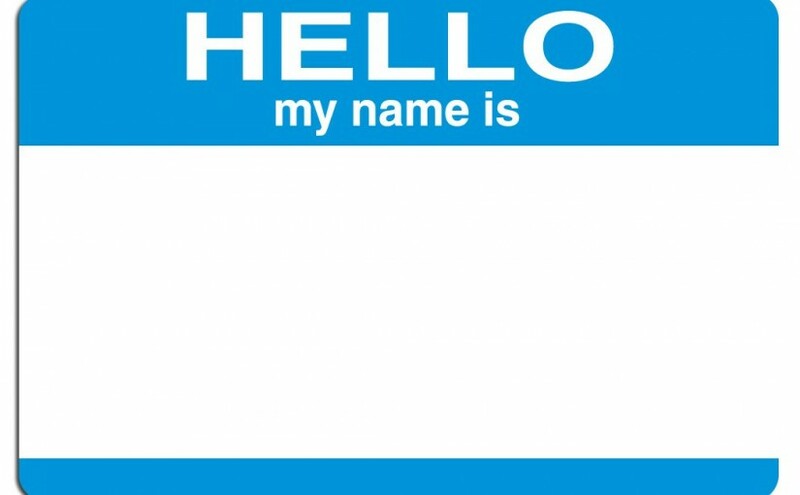 For those of us who have been online for most of the past 25 years of modern and contemporary internet usage, we’ve gotten to decide our names. We’ve decided who we are and how we are seen. This is important because if we look at the moralizing authoritarian hypocrites of today, they are trying to rip that ability from us. They don’t want us making our own names, deciding who we are, or even what we do outside of their narrow paths they put before us. These are the idiots who view the internet as a “series of tubes” and not the “vast sea of information.” I yearn for the sea of stars but I’ve sailed the sea of information longer than I can remember. To look at this concept, I’ve decided to look at Kamille Bidan – designer and pilot of the Zeta Gundam. Let’s Hammer This In! Starting out, I will say that in the story, Kamille is 17 years old in 0087- the year the GRYPS Conflict takes place. Yes, this person is still in essence a child, but so was Amuro Ray, who was 16 in 0079 during the One Year War, of which he had several mobile suit kills to his name. One thing you will notice in examining any Gundam series is its penchant for child soldiers. Even though legal age of majority at the time was 20 (though its been lowered to 18 in 2015) the idea of young boys going out to fight in war is far from uncommon. This just goes to show the depressing fact that our society has always viewed even young men as disposable when it comes to defending itself. But what if said young men and boys decide it would behoove them to become dissidents instead. That’s the story of the ever-idealistic Kamille Bidan, a young man with high hopes and a dire fate. To start, his parents Franklin and Hilda Bidan were an often absent influence on his life, a parallel that Kamille has with not only Amuro Ray but with his mentor Char Aznable. It’s what drew the young newtype to these other newtype men, a similar upbringing cloaked in chaos. Franklin and Hilda were mobile suit designers and engineers. Franklin dealt with the mechanics and Hilda the metallurgical aspects of the armor for the Gundam Mk. II., though they mostly redesigned the at-this-point 5-year-old sealed plans of the GP series units and give the iconic unit style a new frame concept to bring it forward to a new age and ensure that the history of the crimes of the Earth Federation and their TITANS arm are erased in a stint of historical revisionism. Granted, half of that is essentially retcon material meant to explain the series Stardust Memory, which I’ll cover another time. Kamille’s name was obviously his mother’s idea, trying to get the attention of her long distant husband, and done out of spite for the man, without caring what her child would eventually think of it. Understandably he hates it, as he views it as a ‘girl’s name.’ This pushed him to take martial arts, take after his father with an interest in mobile suit mechanics, and have a major temper. He’s an understandable foil for the calm, methodical and waifish Scirocco we’ve discussed previously, though for a bulk of the series Kamille’s prime rival was one Jerid Messa. This is not only because Jerid was ultimately everything Kamille wished he could be as a born soldier and stereotypical jock, but because Jerid is the one who ultimately killed Kamille’s parents – albeit unknowingly. I’ll go into his mentality later because he is what happens when you take a good man and corrupt him with fleeting power. After an initial fist fight with the aforementioned Jerid, when he mocked the youth’s name on his way to meet with Captain Bright Noa, formerly of the White Base (Amuro’s former and future Commanding Officer,) he is detained for questioning, since he attacked a TITANS officer. What was likely to be a simple misunderstanding was complicated big-time when the team of one Quattro Bajeena ended up infiltrating the colony Green Noa of Side 7 to obtain the three Gundam Mk. II prototypes. In the battle, Kamille decided to go with the AEUG forces to show one over on the authoritarian TITANS, and jumped into the cockpit of one of the black-blue mobile suits. With this battle, the AEUG claimed two of the iconic units while the third stayed with the TITANS. It was at this point that the designers of the suits, Kamille’s parents, who were essentially right there, were held hostage. It’s revealed that their marriage is for political reasons at this point, as Franklin has a mistress and cares very little for his son and wife. In fact, he takes advantage of his position to try to get one of AEUG’s Rick Dias units to study for the Earth Federal Forces, since they have performed as well as they have against the mainline GM Kai units that the Federation were still fielding. He doesn’t make it back, however, due to him being seen as an AEUG pilot due to the traits of Minovsky particles. A funny thing that eventually gets revealed in the series as time goes on is that all four factions of this tragic affair are essentially provided suits and equipment by one Anaheim Electronics located in the Lunar cities of Von Braun as well as the city of Granada. In a later series, it’s revealed that they show allegiance to only one group – the Vist Foundation – which is the driving force in Unicorn. Why did all of these warring factions get their war machines and equipment from this one company and not build and design in-house? Because by that time Anaheim had a corner on the market after absorbing Principality of Zeon companies Zeonic and Zimmaud after the One Year War. They wouldn’t have a viable competitor until the Strategic Naval Review Institute (SNRI) was fully established and made a name for themselves with their miniaturized mobile suit technology nearly a decade later. Why am I going into talk about monopolies when it comes to essentially military contractors and them being dangerous? Well Lockheed-Martin comes to mind a little bit. Everything you learn about Anaheim and their approach to their business indicates that they are the polar opposite of the idealistic AEUG. They know they are in the business of bloodshed and they couldn’t care less. They will tell you that they believe in your ideas just to sell you a battalion of mobile suits and the spare parts for a steal, because they know you are going to return for more later. Plus, since Gundarium in all its forms can only be processed and refined in space, and the prime satellites that have the raw ore to help create this super metal (formerly known as Lunar-Titanium) are on the Moon and a resource satellite known as Luna II, the extreme bottlenecking and value of this lightweight and extremely durable armor for mobile suits is obvious. In short if you are running a major military in such a climate then you have no other choice but to allow said monopoly. In fact during the One Year War there were only a very small handful of suits that used the Alpha build of the alloy due to the difficulty of manufacturing it. The rest used a regular Titanium-Ceramic similar to space shuttles. just not durable enough to survive re-entry into the atmosphere. That’s where we get back to Kamille. The biggest hurdle that Anaheim had in 8 years was trying to recreate the ability of the original RX-78-2 of re-entering the atmosphere on its own. The closest thing they could work out were ballute packs and a flying armor. Every other prototype fell short from the Delta Gundam which got developed into the anti-beam-coated Hyaku-Shiki, and the 4 prototype Zeta designs that all didn’t live up to snuff. Seventeen-year-old Kamille ended up figuring out how to fix the frame to withstand the transformation aspect into the wave rider form, which is what netted Kamille the suit as his own. His ingenuity showed worth that Amuro wouldn’t display for another 5 years after, and even then Amuro needed help from Char to get his concept to work. This makes Kamille have the most potential out of all the main newtypes within the metaseries. No other Gundam protagonist in the Universal Century developed their own gear like Kamille did. This is a brilliant illustration of his inner desire to make something purely of himself, to surpass his given name and become something more. Its here that he also ends up meeting a fleeting love in the form of Four Murasame, a young cyber-newtype, a form of artificially enhanced super soldier, who doesn’t even really have her own name. All she has is the Psycho Gundam, a towering behemoth of a transforming mobile armor that dwarfs warships, and her designation from Murasame labs, who have been experimenting in artificially creating the newtype phenomenon. The tragedies here are the fact that her past has been effectively erased, leaving her a shell, and that the moment she starts to find her own humanity she has to give her life, another example of Gundam’s realism in which not even young girls are safe from the ravages of war, killed once more by Jerid. The guy seems to be tallying quite the body count. However, this doesn’t increase hatred for the soldier in Kamille’s eyes. Quite the contrary, he directs his ire at the TITANS organization that led to Jerid’s actions in the first place. He realizes overall that Jerid is a soldier who is merely following orders. That’s quite a realization for someone so young. As such, Kamille views hating Jerid as pointless, despite the fact that Jerid hates Kamille for having killed people he cared about, and being a barrier to his promotion within the TITANS organization, which, due to his family line, he thought was owed him. This arrogance would be his downfall as during his final bout with Kamille. The young newtype just wipes him out to not only help save his comrades-in-arms, but to take on the threat of Scirocco. For Kamille it was never about the desire to fight, never about vengeance. He easily came to terms with each important soul lost to him. It was always about stopping the tyranny and bloodshed that the Titans and eventually Neo-Zeon represent. This is because ultimately Kamille Bidan is an idealist rather than an ideologue. His desire is just to wipe away separations that he feels are useless. Sadly, though, the nature of the Bio-Sensor equipped to the Zeta, which is a precursor to the Psychoframe technology, and his naivety about human nature are his downfall. Kamille would go into a catatonic state after his duel with Paptimus Scirocco, one in which himself and the souls of those who died within that battle would kill the mad ideologue. It wouldn’t be until after another tragedy in the form of a colony drop in the sequel series ZZ Gundam, in which Kamille would recover his mind, that he would eventually be able live the rest of his life in peace. Likely, though, he would forever be haunted by the atrocities committed within his lifetime. So much so that the only person who would be able to handle it with him is his lifetime friend, partner in combat, and eventual girlfriend (presumably to be his wife) Fa Yuiry, who lived through the ordeals with him and followed him every step of the way. There are a few aspects I did not cover in this overview, but those are best done within the series review as a whole, as they concern major events and interactions between himself and Char that I think would be best given their own shared spot within the discussion. Though there are a few more things we could gather from all of this in relation to how he is as a person. Back to his name. Its obvious he never liked his name until a certain point, but not once did he try to change it to something different. One could attribute this to the Japanese not often shortening their names in many settings, but that could have been subverted here. He could have preferred to have been called Kam, a proper shortening of the name Kamille that could easily be read as masculine. I believe he didn’t do this for two reasons: First, he respects his mother, who gave him the name in the first place. Second, he would likely view something such as that as a cop-out, a false victory. With how he fights and performs throughout the entire GRYPS Conflict, the last thing he ever took was the easy way out. He would get it done the right way, or not at all. This is seen from the first episode on. He would be seen as a man on his own terms despite the nature of his name, and as a man, make that name his own on his terms, and no one else’s. It’s my interpretation that this staunch individuality that Kamille puts forth is his defining trait. Kamille earns his manhood and takes the lessons of his mentor Char to heart, and does so realistically, not wanting to fight but not being afraid of having to kill if need be. Kamille is not a soldier, but a warrior, as well as an innovator. Throughout the series he uses a few unorthodox tactics once he fully understands the limitations and the strengths of his units. However, when those tactics fail, he takes full responsibility for his mistakes. Also he isn’t afraid to be a complete mad lad and say… Throw a crippled man off a cliff! Also he is not afraid to confront his mentor even about his identity. This is a double-edged sword, however, as his brashness has caused him some of his strife and perhaps even the inability to save his parents. Alas, he moves ever forward, even with overwhelming odds against him. In conclusion, rather than to make a new identity or name for himself, he takes what he is given and turns it into something to be proud of. He becomes the epitome of what it means to be a newtype, even more than his predecessors, and define what it means for those who succeed him. In the end, he lets go of that stubborn pride and embraces the humility of a man. Kamille does what neither Char nor Amuro could ever do within their lifetimes. He walks away from war and lives his life on no one’s terms but his own, confident in his successor fulfilling his will in his stead. If I were to attribute a single word to everything Kamille represents its honor – honor of his family, honor of his friends, honor of his world. He is the antithesis of the established order within the Earth Sphere. This seems weird in analyzing, in essence, a teen soldier, but if you think once again about how common disposal of even teenage men is in the history of our planet you’ll understand why I could so easily refer to Kamille Bidan as a man and not a child. He sacrifices his childhood for the sake of others without a second thought, because he learned well the plight of the working class man, even if his parents were the whitest of white collars. Considering my own family origins I can see a bit of myself in Kamille, though I don’t have the will to walk away from this fight. Next week I’ll leave as a bit of a surprise. Until then Please Remember to Game Freely!